Born in 1961, in Honolulu, Hawaii, Barack Hussein Obama comes from a background of mixed heritage with his father, Barrack Sr., being from Kenya and his mother, Ann Durham, from Kansas. Both parents met at the University of Hawaii and got married but as interracial relationships were not very popular in those times; the marriage was quite a short-lived one. When Obama was only two years, Barrack Sr., divorced his wife and returned to his home country where he died in a car accident. Obama met his father only once after he left America. Obama’s mother married an Indonesian man and moved there with him. However, Obama returned to Hawaii at the age of ten to live with his maternal grandparents. He received his earlier education at the Punahou School, a prestigious private academy. Facing conflict due to his mixed heritage in school, Obama spent more time in the basketball court with friends and even got into experimenting drugs, such as marijuana and cocaine. After graduating from Punahou, Obama went to Occidental College in Los Angeles from where he went to the esteemed Columbia University in New York City to get his degree in political science. It was during this time that he explored his African roots and met his paternal family in Kenya for the first time. Obama became the community organizer in Harlem but was unable to support himself in the big city so he moved to Chicago. From here, he applied to the prestigious Harvard Law School. He became the elected president of Harvard Law Review Journal, being the first African-American to hold this post. Rejecting several job offers from big law firms, Obama decided to return to Chicago to work at a mid-scale firm that was involved in defending the poor in housing the employment discrimination cases. While in Harvard, Obama met Michelle LaVaughn Robinson, a Harvard Law graduate, while working as a summer associate. The couple got married in 1992. It was also in Chicago that Obama decided to start his political career. In 1995, Obama had his autobiography published in the Times Books named “Dreams from My Father: A Story of Race and Inheritance”. However, he was not interested in pursuing career as an author and decided to run for a seat in Illinois State Senate, from his home district Hyde Park. In 1996, Obama won the seat in the Senate and worked consistently for low-income families, uninsured children and also wrote a bill that was aimed to reduce incidents of alleged racial profiling and undue suspicion turned upon the minorities by police officers on patrol. Obama then made the first bid in the U.S Congress in 2000 by challenging Bobby Rush for his seat in the U.S. House of Representatives. 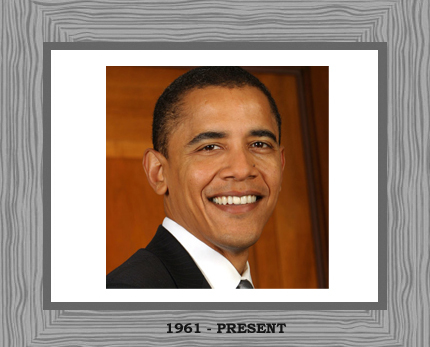 In 2005, Barrack Obama became the fifth African-American senator in the U.S. history. Obama decided to run for a seat in the U.S Senate when Peter G. Fitzgerald, Illinois Republican, announced his retirement. With 53% of the votes, he beat the other 6 Democratic challengers. It was then that the Democratic Party leaders started to take his Senate campaign seriously. In 2004 Senate race, Obama was first challenged by a tough Republican Jack Ryan, and thereafter he dropped out of the race by Alan Keyes, a conservative black Republican. Obama had already begun to win public-opinion polls and became popular amongst the small-town voters due to the campaigns pledged to stop the outsourcing jobs affecting the American people. Obama was put into the spotlight by John Kerry, at the Democratic National Convention in July 2004, when he asked him to deliver the convention’s keynote address. His speech, titled “The Audacity of Hope” was established by the political analysts to be one of the best in the modern era. With several standing ovations, Obama showed his confidence to the nation. Due to his classic speech, Obama was able to win his bid for the Senate by taking 70% of the Illinois votes. Being only 43 years of age, he became the youngest member of the U.S Senate. There was a tough battle between Obama and Hillary Rodham Clinton but in June 2008, Clinton halted her campaign and supported Obama, asking her voters to vote for him instead. Thus, Obama won 52.9% of the popular votes and became the first African-American president of the United States.